People who know me are aware of the fact that I can be quite outspoken. They know I’ve been extremely critical of the pool and spa industry and have made it my crusade to argue that, as an industry, we need to elevate our game. My particular concern lately has to do with the areas of design and presentation. I’ve always been excited by innovation. I place creativity high on my list of aspirations and priorities in my own business, and I think my life gets most interesting when I’m involved with people who are similarly attuned to this desire to do and try new and interesting things. Fortunately, I’ve had the benefit of associating with highly innovative people through the years who’ve shared the creative process with me, taught me a lot and made the ride extremely enjoyable – and fruitful. These experiences have filled me with a desire to be out front myself with innovative and creative ideas. It’s a given that watershapers need to maintain close control over design, engineering and construction, especially when they’re working on complex projects and/or challenging sites. That control, says landscape architect and pool builder Mark Holden, can only begin with a clear understanding of the site in topographical and geological terms – an understanding that calls for familiarity with surveys and all the valuable information they offer. Whether it’s done using only a tape measure and a pair of experienced eyeballs or requires the help of satellites orbiting the planet, every construction project is surveyed before the work begins. 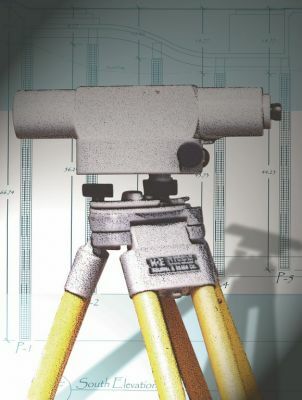 In fact, surveyors have been plying their trade for thousands of years, and their services have been valued for one simple reason: It’s really a good idea to measure the size and shape of the ground before you try to build on it. In today’s terms, surveying is defined as the process of taking accurate measurements of the land on the X-, Y- and Z axes (that is, in three dimensions) and then translating that data into a usable (usually printed) format. There are several different surveying methods used to measure, process and communicate this critical information, and choosing the right one is essential to getting any watershaping project off to a sound start. I started my May 2001 column by expressing the belief that watershape designers should be paid for their designs in the same way interior designers and landscape designers are paid for theirs – and by indicating that lots of watershapers I’ve met are interested in knowing more about the mechanics of how this works. I put off addressing those issues last time because I saw a need to establish criteria for offering such services in the first place. In other words, there’s much more to being a watershape designer than simply declaring yourself to be one, and I set up two dozen questions intended to clarify what I meant. ‘Exceptional projects for outstanding clients don’t fall off trees: You need to reach these people somehow,’ declared Brian Van Bower in his Aqua Culture column for March 2004, ‘and make your presence known. In October 1999, I wrote an Aqua Culture column titled “Value by Design” in which I explained my belief that watershape designers should be paid for their designs in the same way interior designers and landscape designers are paid for theirs. Since then, I’ve been contacted by lots of people who are interested in knowing more about how this works; I’ve also had the privilege of traveling throughout the United States and abroad to talk about watershape design and construction and have met hundreds of people with the same need for information. In the past few issues of WaterShapes, I’ve used this column to share some very specific construction techniques with you – each one a special detail that I’ve used to add value and interest to my work. Before I did the first in the series, however, I probably should have laid down an important ground rule: Everything that you’ve seen in this column – and in the other articles and columns I’ve written and will write in the future – requires both constant and competent on-site supervision. When it comes to watershaping technology, there’s nothing more elemental than pumps. In fact, says hydraulics expert Steve Gutai, it’s fair to say that an understanding of pumps, how they work and, most important, how they differ may be the biggest factor in achieving desired effects in any aquatic system. Here, he explains how these key distinctions can be used to prime the character, efficiency and reliability of any watershape. Whether you build fountains, streams or Olympic-size swimming pools, you need to install a pump of some kind to make these watershapes work. As fundamental and essential as pumps really are, however, it’s amazing to think how casual many of us in the trade are when it comes to knowing about how they work and how their performance characteristics differ. We’ve all heard and used terms like “energy efficient,” “high head” and “self-priming,” but for the most part, the real meanings of those words get lost in the competitive marketing blizzard that surrounds these products. 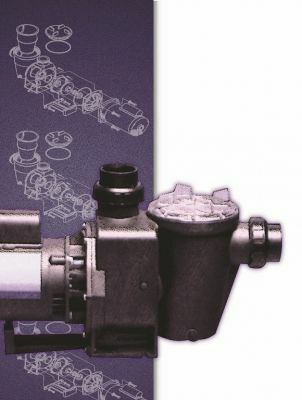 Without a clear understanding of how pumps are designed and how they do their job, these distinctions are no more than words on a label – and that’s not the way it should be. No one ever said that change was easy. In our case, in fact, it’s been a struggle every step of the way. But even though we’re still in the middle the process, I can tell already that it’s been worth it – and that the best is yet to come. Lipinski Pools, an offshoot of Lipinski Landscaping in Mt. 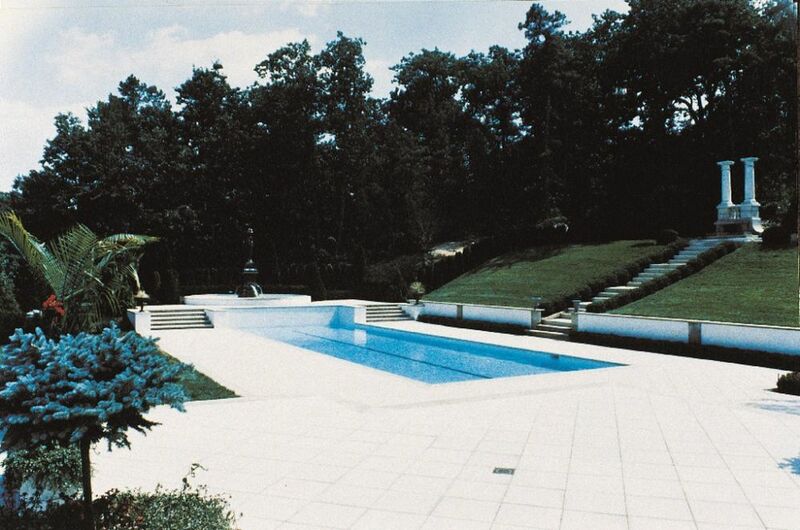 Laurel, N.J., has worked with pools as part of the company’s overall landscaping business for several years now. We started by acting as general contractors and farming out a lot of the work. As I’ve grown in my personal life and as a businessperson, I’ve come to recognize a powerful relationship between basic axioms (such as the one just above from James Fadiman) and the setting of my own goals. Most people who know me will tell you just how independent I am. Some, in fact, will say that I’m too independent for my own good. When it comes to business, however, I know that being a soloist carries me only so far: Rather, it’s the relationships I’ve established and maintained within the business community that have taken me beyond the independent realm and helped me achieve the success I was looking for when I started my business. I don’t know if it’s because I work in the pool and spa industry or if this is common to other fields, but I know a great many people who run businesses who are ill-prepared to do so. Architects and landscape architects might have taken some classes that introduced them to basic business principles, but their counterparts in the pool and spa trades are far less likely to have taken such classes and tend to run things by the seat of their pants.